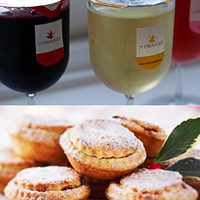 What better way to enjoy the best of the London decorations and lights than with the most famous of English Christmas traditions – a delicious mince pie with a glass of red wine – perfect to keep warm on a frosty Christmas night! This special treat is available to order with your tour at 10 GBP per person. For many years we have received special requests asking whether there was any way to be able to guarantee a visit from Santa during the Magical Christmas tours. Well, for the first time ever and after much deliberation with the man himself … we now can! Father Christmas will be taking a well deserved break from his workshop at the North Pole on select dates during November and December to pay a totally private and personal visit to guests who request this service. Magically appearing during the course of your Christmas tour, Santa Claus will be on hand with a special gift to make your tour a truly memorable experience, with plenty of photograph opportunities. Offered exclusively as an option on our private tours. Wish to sightsee in true style? For that extra special touch, upgrade to our luxury fleet of Mercedes and Jaguar vehicles to enjoy the best of London at Christmas in the utmost comfort. Offered on select dates during November and December at a promotional rate, saving 50% off the standard upgrade price. Still needing a little extra holiday cheer? 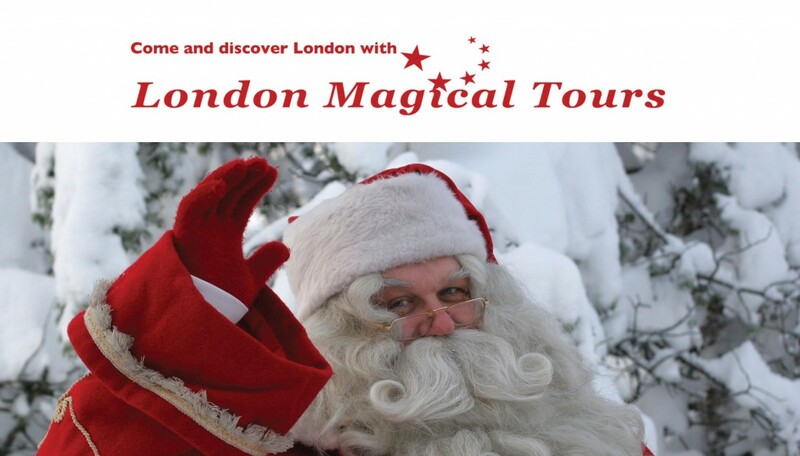 Get into the spirit by viewing our official London Christmas Tours video trailer, which is also the featured video of the month at VisitBritain.tv, the TV channel for the official tourist board for Great Britain. Let us be the first to wish you a magical Christmas season – we look forward to seeing you! Christmas London, London activities, London Food, London for Children, London Information, London Tours Children, What to do London Christmas 2013 London, Christmas in London, Christmas London, christmas London 2013, Christmas London Events, LMT Kids, London Christmas, London Christmas Tours, London Tours Children, London Tours Kids. permalink. What a brilliant christmas tour we had this weekend, London is amazing for the holidays! The lights, the music, our guide was the BEST and our driver so friendly. Thank you for making a life long memory. The tour videos look amazing. My son is so excited about being in London for Christmas this year, I am sending an enquiry for the week starting 23rd of December and we are hoping to go on the 3 hour tour which sounds wonderful!